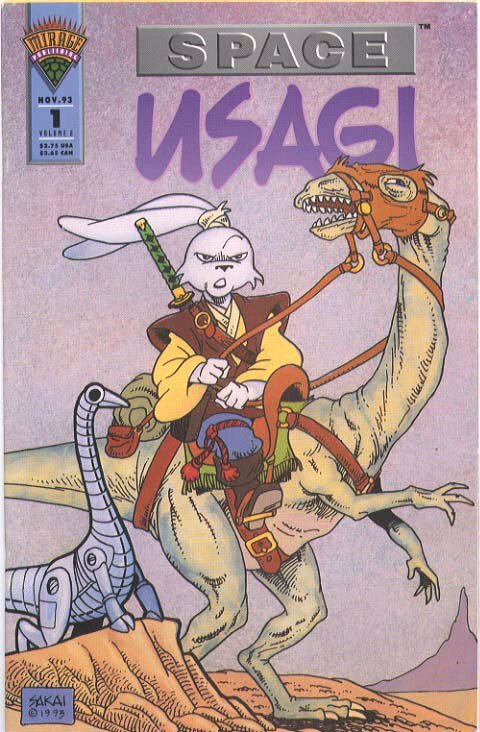 Space Usagi is a fantasy, more so than Yojimbo. In the latter, I'm bound by history and the culture of feudal Japan. IN Space Usagi, there are no such boundaries. Oh sure, it still revolves around the samurai but to a much lesser degree. History and culture become more a playground than a constraint. Traditional cultural icons become castles in the sky and hightech ninja with heat-seeking shuriken. Will there be more Space Usagi stories? "Perhaps, but not in the near future. I'll probably wait until I have the itch to draw more dinosaurs and aliens. Or maybe I'll visit some of Usagi's other descendants." 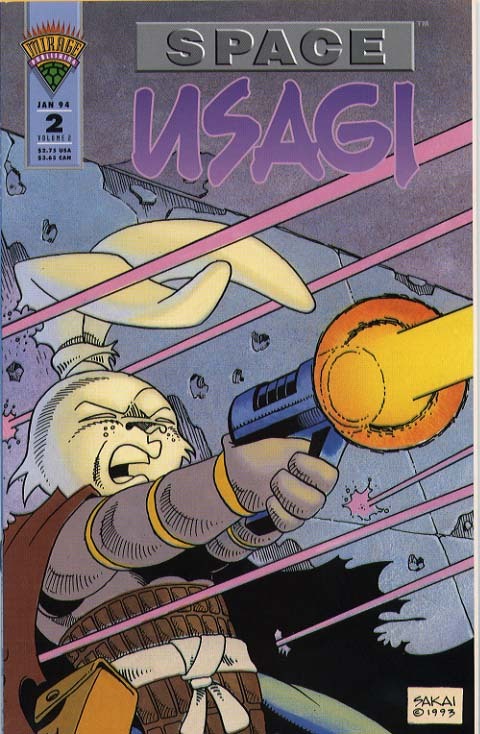 A pilot for a Space Usagi series was created, but they could not get a toy company to finance the series. 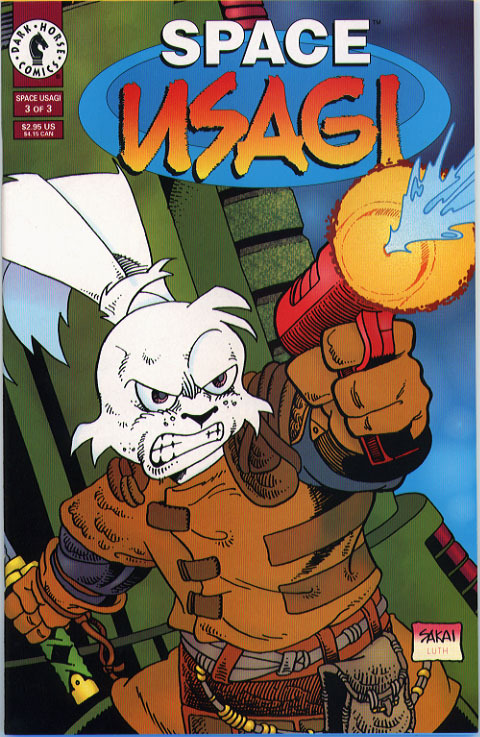 Unfortunately, the timing couldn't be worse as toy companies had been burned badly by the flop of the ill produced "Bucky O'Hare". Thus, anything with a rabbit in space was considered off limits to them. 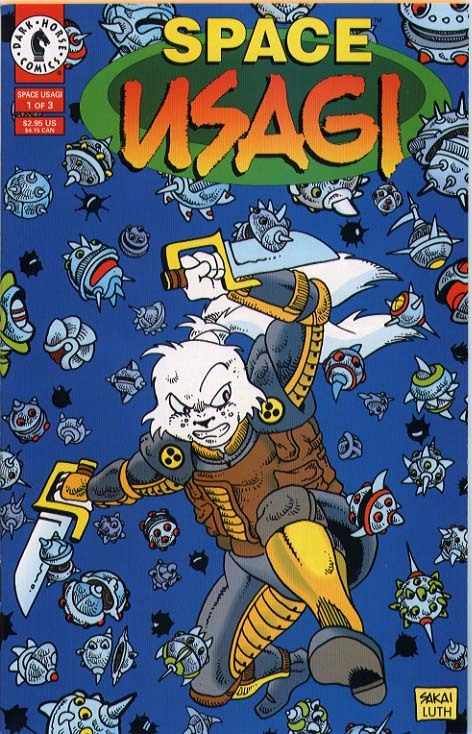 Space Usagi was actually the first creator-owned license that Turner Entertainment handled and it was the first new project Mirage Licensing had since the Teenage Mutant Ninja Turtles. 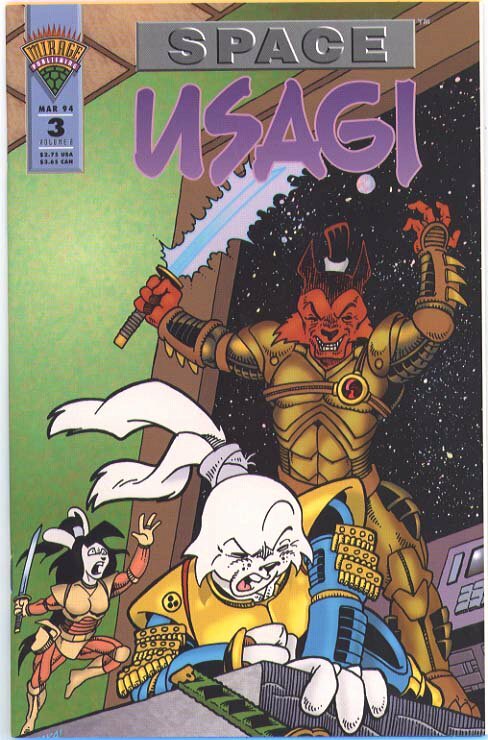 Space Usagi was also offered a time slot on TV, but couldn't pursue it as they didn't receive financing from the toy companies. 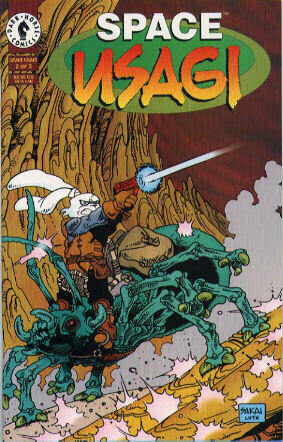 Jim Cummings voiced Usagi and Rhogen in the pilot. Below, you can Check out what could have been! As a 90's kid it truly is a bummer Space Usagi didn't take off. Waking up early on Saturday mornings to watch it would have been so exciting! The tone, look, and feel fit quite well with other retro shows around its time. 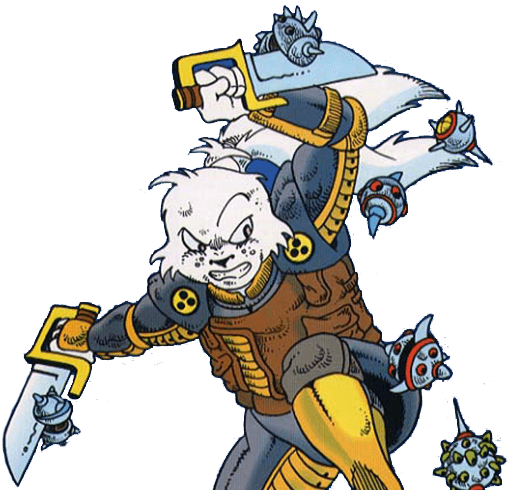 You can picture Space Usagi with other early 90's shows such as Sonic The Hedgehog, Spiderman, and the Teenage Mutant Ninja Turtles. Perhaps it will debut successfully in the future! I know I'd watch it.